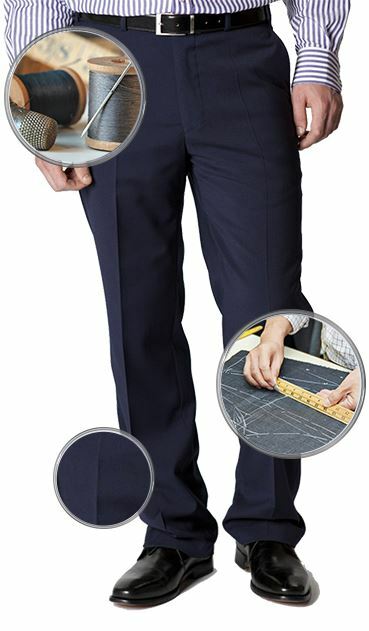 Prompt service, original trousers did not fit, replacement also very prompt no quibble. Difficult to fault this company. Great service and quality clothing items supplied. Very pleased with my recent purchases. Fit, fabrics, finish and presentation were all first class. Delivery quick and efficient. I like the product and the price. I will be buying again. 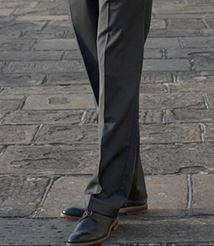 I have been very pleased with the shirts and trousers I have bought from Brook Taverner. They fit well and are of great quality. The introductory offer also meant that they were well priced as well. Delivery has been super fast. I was really impressed. Prompt delivery and prompt refund on return. Efficient and pleasant helpful call service operators matched by excellent delivery times. Good old fashioned standards and quality . I have bought a jacket and a pair of trousers from Brook Taverner. I have found both extremely comfortable and of first class quality. I will definitely be using Brook Taverner again. I recommend them to anyone. Brook Taverner have never let me down eitherwith their deprndl servie and delive or with their wide range of fairly priced quality products. Their many bargain offers are vey enticing. Having placed a couple of orders I am extremely pleased with both service and quality of goods. Unfortunately some items were not suitable, however there was no hesitation or delay with the refund, thank you. All items were well packaged, the returns were easy to manage and free to return. I love to wear it because of high quality stitching and material. Good quality & fit. Smart & comfortable. good fit, warm trousers and good looking product. Smart enough for everyday occasions but simple and practical enough for a wide range of circumstances. I was disappointed only because Airforce was not available. But I don't grudge you a very good mark! Good fit and good quality, very happy with how they look too. Good quality trousers which fit well; all that needs to be said, really. Chuffed to bits... exactly what I wanted, fits perfectly. Maybe a bit too heavy for the height of summer - but for most of the year in the UK these will be great. Colour is excellent, goes with almost anything. I have bought several pairs of these trousers over the last few years. They fit well and look good for ages - warm enough for cold days and cool enough for summer. And, importantly, they wash very well. 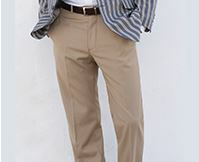 What is the rise of this trousers? 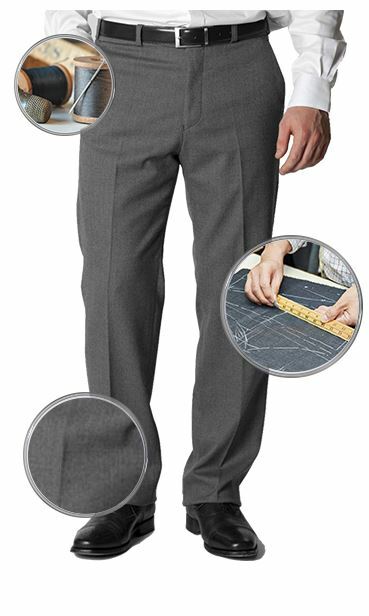 The rise of our trousers is approximately 12" from the top of the waistband to the crotch seam. This measurement may vary slightly between sizes/styles. 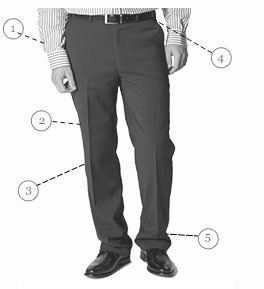 What material are the trousers made of? In the description it states 60% wool but in an answer below you've said 60% cotton. 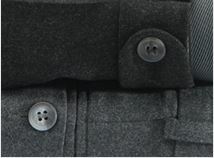 The composition of the Olney trousers is 60% wool, 38% polyester & 2% elastane.